Barley porridge do not love it. And a very good reason! After all, in pearl barley contains a lot of useful and needed vitamins and minerals. Iron, potassium, calcium, copper, iodine, vitamins a, D, E, essential amino acids such as lysine, as well as an abundance of phosphorus, protein and fiber. Therefore, barley must be one of the main places in your menu, the more it can be very nice and tasty side dish to any meat. suitable for baking in the oven. Take 400-500 grams of pearl barley. Go through it, then rinse until water is clear. Then soak the barley groats in cold water. 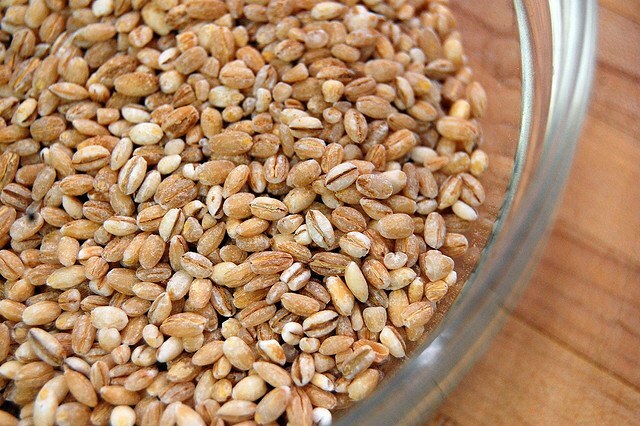 Barley is better to soak for all night, but you can just add water for 3-4 hours before cooking. If you don't have time, you can not soak the cereal, but be prepared she will be for much longer. When the barley is well soaked, start to cook. Grate the carrot and finely chop the onion. Put on medium heat pan, heat any oil, for example, a piece of butter. Put in a pan the onion and sauté until transparent, stirring constantly. Add the carrots to the onions, just fry. If you soaked the groats in advance, then drain the water from it. Then lay the carrots and onions and stir. If not soaked barley, just pour washed cereal in the pan. Spread resulting mixture into the pots or any other deep dish, suitable for baking. Separately heat in any capacity broth. If you have no broth, just heat up the water, putting it in a Bay leaf. Add any spices to taste, season with salt. Pour the resulting liquid in your baking dish. You can optionally put on top of Bay leaves. Place baking dish in preheated to 200 degrees oven. Cover with top lid. If you have pots, then put them so that they do not touch each other. Reduce temperature to 150 degrees in about half an hour. Leave the porridge in the oven for another hour. If the dealer you were not pre-soaked, add more hot water and increase the cooking time by half an hour. When evaporated all the water from the oatmeal, turn off the heat and leave the porridge in the oven for 20-30 minutes, so went and breathed. A side dish to any meat ready. 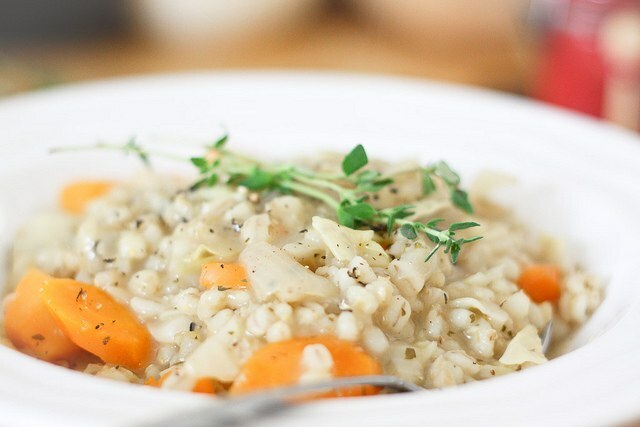 The barley for this recipe is soft, fragrant and delicious. Cook it often, and you will truly appreciate this useful cereal, which is not for nothing called mess of youth and beauty! To barley porridge was more fragrant and soft after turn off the heat in the oven, leave it there for a while. Pre soak the barley overnight.